From the buzzing nightlife of New Angeles, to the political upheaval of Mumbad, to the new beanstalk rising over the shining waters of Lake Victoria, the Android universe is constant evolving and changing. But no matter how advanced the technology becomes, no matter how many new worlds the megacorps expand onto, some things never change. Crime and people both remain the same. With the new Revised Core Set for Android: Netrunner, the Android setting has been advanced five years. Some of your favorite characters may appear a bit older, the corporations may be pushing new agendas, but beneath the surface, they’re the same familiar runners and megacorps that you first fell in love with. Today, we have Story Manager Katrina Ostrander to talk about what the Android universe looks like, five years on from the classic Core Set. It’s been five years since Android: Netrunner first debuted. 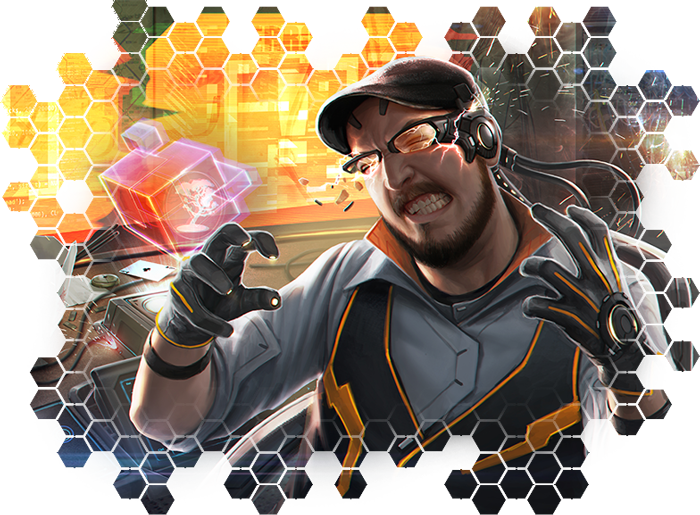 A Revised Core Set is on the horizon, with updated art to reflect the latest trends and styles of meatspace and the bleeding-edge technology to be found on custom-built rigs and locked-down servers. But amidst the controversies and conspiracies that have threatened to tilt the balance of power in one direction or another, the old saying remains true: the more things change, the more they stay the same. Five years have passed in New Angeles. The megapolis remains a priceless economic jewel for the corps and government that lay claim to it, but the reversion to Ecuador is five years closer, and nobody is prepared. The NAPD’s android detectives—Caprice Nisei, Floyd 2X3A7C, and Drake 3GI2RC—struggle to solve crimes while navigating their own complicated identities. 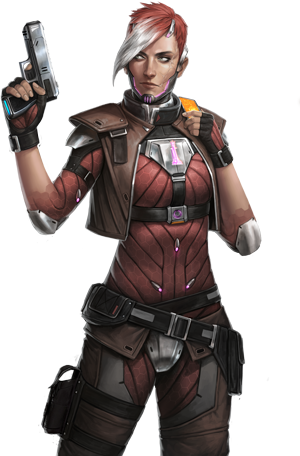 At the same time, Haas-Bioroid attempts to quash rumors of bioroid uprisings on Mars and rogue bioroids on the streets of New Angeles, while Jinteki tries to protect the secrets surrounding its clone manufacturing processes and contracts on specific clone lines. Runners crack into datafortresses to try and discern the truth or sell what they can to the highest bidder. Beneath the sky-high arcologies of the corporate sarariman, orgcrime syndicates wage bloody wars and protect their own against corporate and political meddling. Drones sweep the streets in search of criminals and stolen tech, while even more insidious spies can be found inside children’s playthings in every home. NBN can turn any camera into a surveillance tool, despite the activism of groups like the Opticon Foundation and independent investigative journalists. And yet, despite the incredible advances in technology, even the titans of the financial industry can fall with a little push. What came to be known as the Flashpoint and the 23 Seconds that almost led to outright war between the corps shook New Angeles far more than the tsunami that may have been triggered by Project Vulcan and the GRNDL facility. Even after the rapid deployment of all-new security features, something new seems to be menacing the Network, reminding some data-analysts of the Blackout Virus that crippled the world in the late twenty-first century. In meatspace, more mundane threats are simmering. The Indian Union is still recovering after the highly anticipated election and tragic assassination of Akshara Sareen, whose push for clone rights earned her enemies, both without and within her own Ēkatā Party. Up the Beanstalk, on Luna, Melange Mining does whatever it takes to keep Helium-3 flowing Downstalk, and the steady stream of profits climbing back up. But the creation of a second space elevator in Kampala threatens Melange’s and Weyland’s chokehold on the energy industry. Such squabbles are meaningless to the colonists on Mars trying to start a new life unhampered by Earth authority, yet the Weyland Consortium, Globalsec, and other private security outfits appear to be stocking up for what they hope will be a new conflagration of Martian Colony Wars. Amidst all this upheaval across the worlds, our characters have aged, grown, and suffered new scars. For La Reina Roja, the War continues, her resolve even more hardened by the death of Rafe Cruz and the continued corruption of corporations like Weyland. Chaos Theory has had to grow up, or at least, that’s what her fathers keep telling her. And Gabe “El Lobo” Santiago has learned the biggest lesson of wealth: it doesn’t matter how much you have, it’s never enough. It is in this new era that the cyberstruggles of the near future take place, with even more threats threatening to boil over into the next big confrontation. Whoever holds the keys to the Network will help decide who wins, who loses, and who gets to survive. The worlds of the near future are a dangerous place—for runners playing with powers that could snuff out their lives, and yes, even for the seemingly impregnable megacorps. 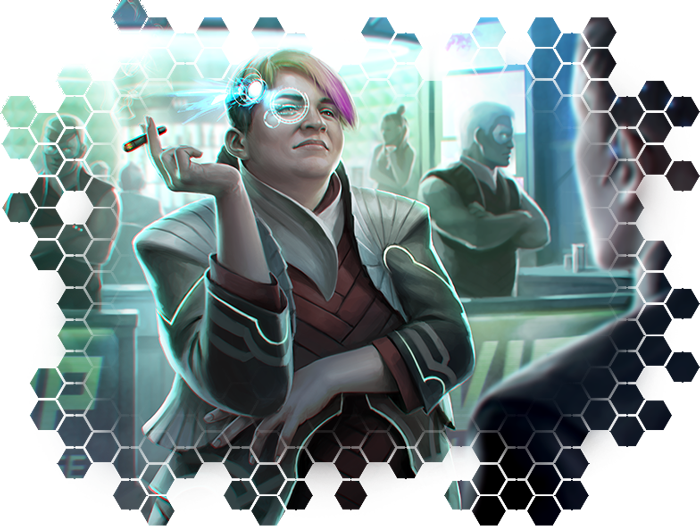 With the Android: Netrunner Revised Core Set, you can return to this new world, playing the game that you love and enjoying the wealth of new art included on the cards. For more information on the corps and runners that do battle in the shadows of the Android universe, you can read our previous articles! It’s time to jack in once more. Pre-order your copy of the Android: Netrunner Revised Core Set (ADN49) at your local retailer or online through our website today!